We can now achieve the desired functionality using ‘Triggersets’. A triggerset is a rule describing a way to set values on a set of given attributes whenever one special attribute (the ‘Triggering’-attribute) changes. 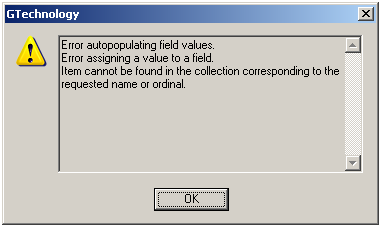 There’s only one field with a G3E_TRIGGERPOPULATE value of 1, the ‘Triggering attribute’. This means that whenever this attribute gets a different value, the GTech triggering mechanism kicks off. The first statement tells GTech to update the attribute on the dialog with g3e_tano 110202 whenever the value for CABLE_TYPE changes. The value will be the value for picklist 112 t.i. 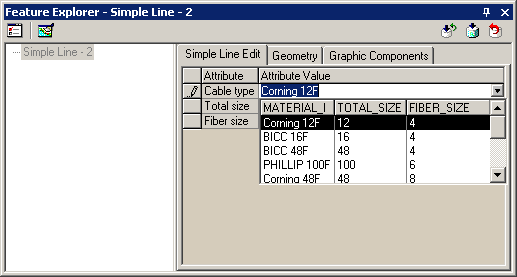 CABLE_TYPE.TOTAL_SIZE, as defined in G3E_ATTRIBUTE. Note that for the autopopulate mechanism to work, you need to have your picklist defined on G3E_ATTRIBUTE.G3E_PNO, not G3E_TABATTRIBUTE.G3E_PNO. 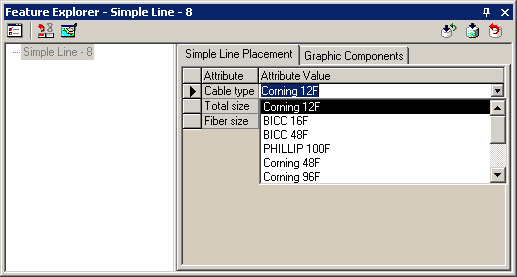 The second statement tells GTech to update g3e_tano 110203 with the value found in picklist 113, which is column CABLE_TYPE.FIBER_SIZE. 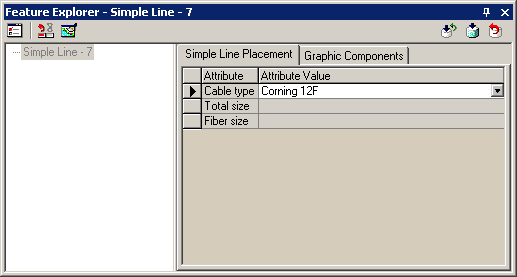 Once you select field ‘Cable type’ and then leave it, fields ‘Total size’ and ‘Fiber size’ are set. 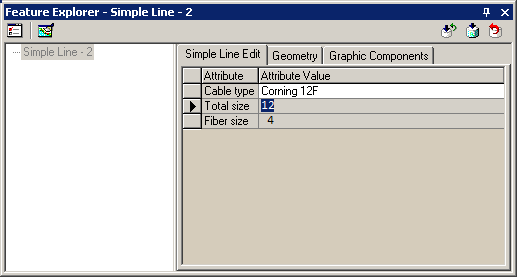 As you can see, fields Total Size’ & ‘Fiber size’ are made read-only, if the user would be able to change them it would be possible to select invalid cable types. This entry was posted in G/Technology, Metadata, Uncategorized. Bookmark the permalink.